To me, suede bucks are the epitome of classic conservative accessories in fall fashion. And that's exactly the reason that transforming them into a modern statement accessory is so much fun! Step 1: Remove laces. 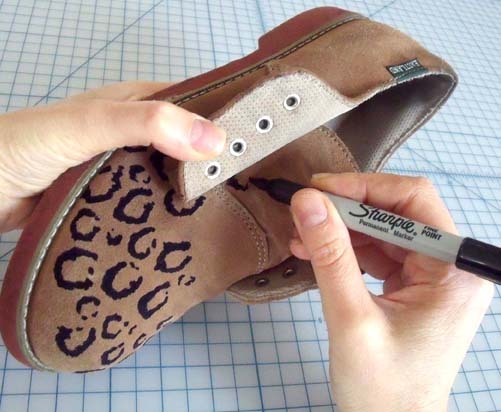 On the front portion of the shoe, begin making the black outer ring of the leopard spots using a black sharpie. *It may be helpful to imagine each of the spots as distorted version of the letters "c", "o" and "u". 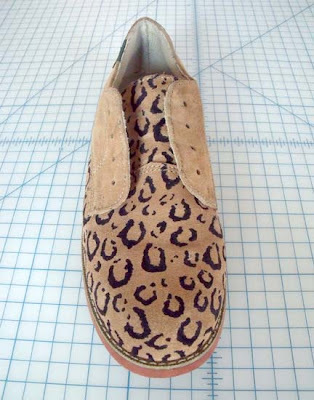 The more wonky and varied you make them the better they'll look! 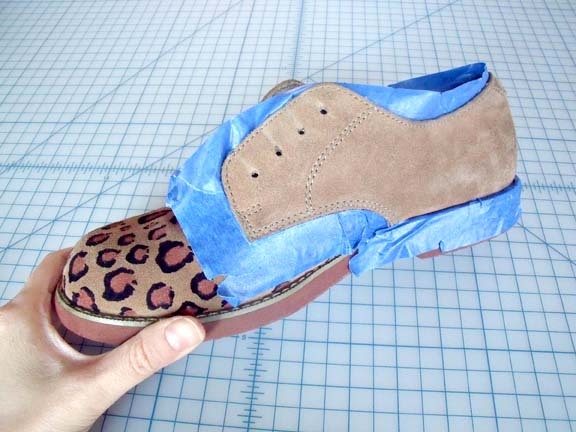 Step 2: Flip back the flaps so that the tongue will be completely covered in spots as well. 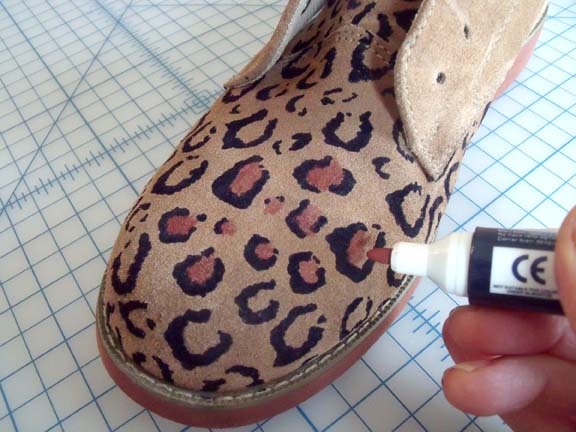 Step 3: Fill in each of the spots with your permanent brown marker. 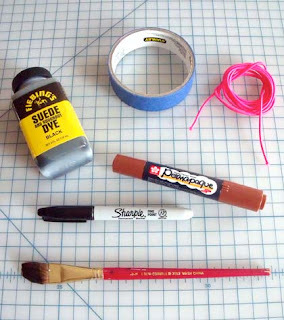 Step 4: Everything else will now need to be dyed black. Use painter's tape to block of all areas that come in contact with the area to be dyed. 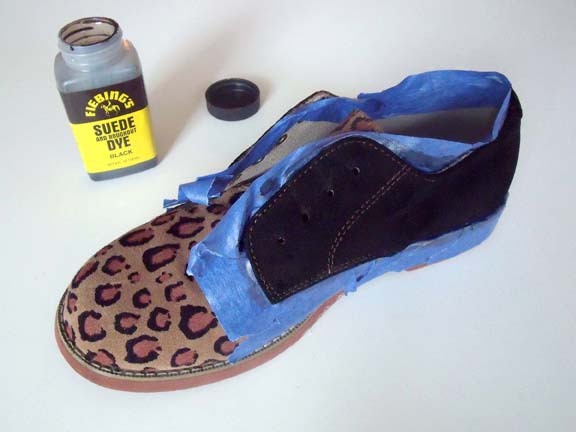 Step 5: Paint on suede dye, making sure that all areas are being covered evenly. Let dry. Step 6: Paint on a second coat. When this has dried, remove the tape. Step 7: Cut your elastic cord into two 13" pieces. 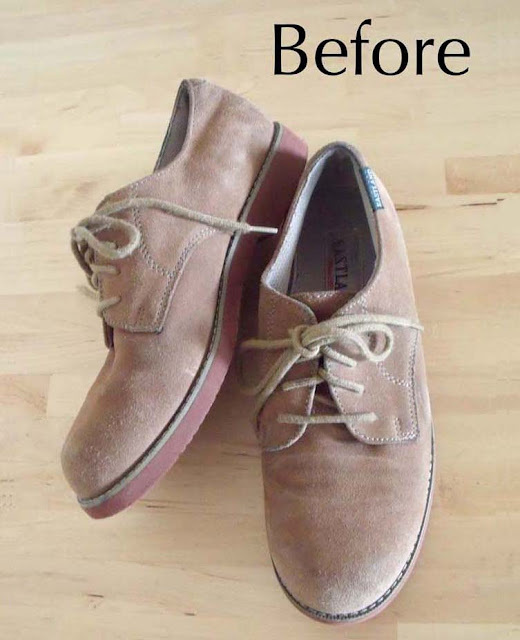 Lace the shoes with the cord and then tie a knot into each of the cut ends to prevent fraying. LOve love love this project !!! Thank you so much! I hope you do! I'd love to share your project on my fb page. Vous êtes trop forte! 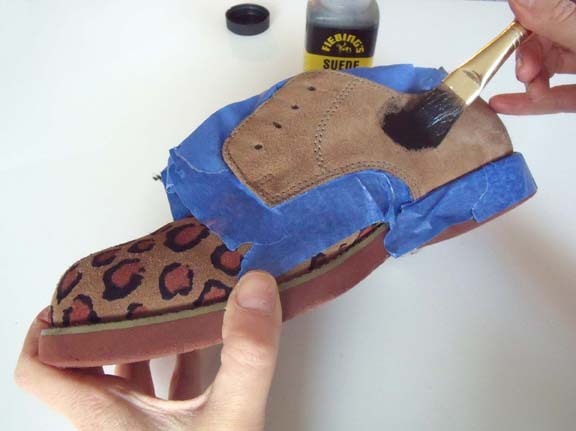 Bravo pour les chaussures, j'adore ce RE DO IT! Kisses from France. 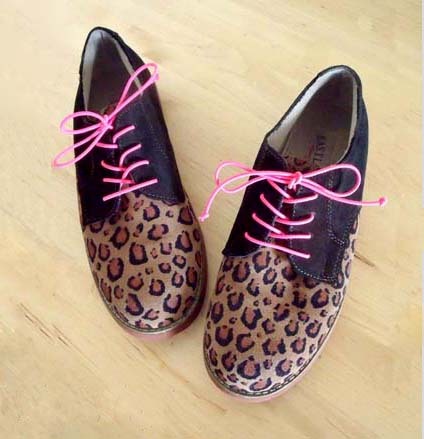 sophie b.
AWW :33 it looks amazing, very good idea! This is fabulous! Gotta try it!